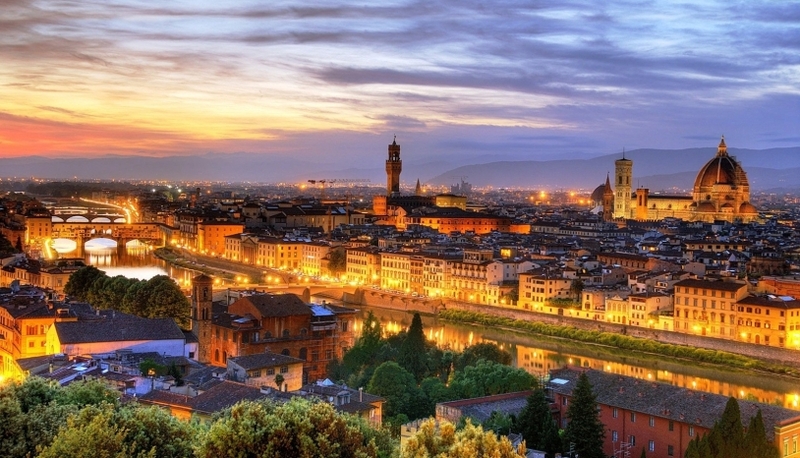 The Italians call Florence “Firenze la Bella” which means “Beautiful”. For the outstanding achievements in art people call the Florence “the Medieval Athens”. Florentine artists invented the laws of perspective. It was a real revolution in painting and open a new epoch of art development. 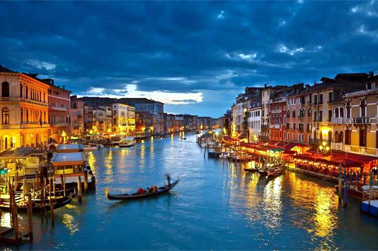 In this city the literary Italian language was created. Florence is known not only by artists but also by bankers. Among their creditors were the Kings of England and Popes. The gold coin florin produced in Florence was the strong European currency. When you are tired of sightseeing it’s possible to relax in one of the numerous beautiful gardens. Bardini Gardens invite to feel the sense of tranquility and smell numerous flowers. In Florence you can enjoy delicious cuisine of Toscana with tasty dishes of local seasonal food and excellent wine. The best meal is Bistecca alla florentina (beefsteak). While walking around it’s pleasant to have some rest and try gelato (ice-cream) with a lot of tastes which is very popular in Florence. Mercato Centrale is the best place to buy fresh food and wine. The verity is superb. It’s better to come in the morning and choose delicious Tuscany products. Although Florence is not on the seaside, you can have some rest at the beach on the river Arno after the day of sightseeing. The Arno can be both a friend and an enemy for the city. During several floods a lot of buildings were destroyed. Several bridges across the river Arno attract the attention. Walking along the river and admiring sunset from the bridges is the best final of the day before dinner in one of the excellent restaurants. If you are travelling in Italy by car the best idea is to park at Piazza Michelangelo. Then it's possible to have a pleasant walk towards downtown. From the hill above the city you can admire the amazing view of Florence with its terracotta roofs. John the Baptist is the saint patron of Florence. On the 24th of June bright celebrations take place in the city in his honor. During the festivities you can see the famous parade in historical costumes. The sight is really attractive. The guests can enjoy music and fireworks. This is the main city's holiday, so in June do not miss the opportunity to visit it. Florence is a center of fashion industry. Famous designers like Gucci opened fashion houses in Florence. In numerous boutiques you can buy the best world brands. On Ponte Vecchio you should visit jewelry shops to choose gold or silver things from traditional jewelry masters of Florence. If you are interested in football it’s interesting to visit the stadium of the famous football club of Florence- Fiorentino. Don’t miss the opportunity to visit Calcio Storico Fiorentino traditional sports games. This bright event will bring o lot of fun to spectators.